Full fledged La Nina event has been confirmed at the end of January 2017 relying on the official NOAA definition for La Nina, because there are now five 3-monthly seasons JAS 2016 at -0.6ºC, ASO 2016 at -0.7ºC, SON 2016 at -0.8ºC, OND 2016 at -0.8ºC, NDJ 2017 at -0.7ºC having La Nina threshold. There is a variation of ONI index by 0.1 C in one instance as reported by CPC at the source cited. 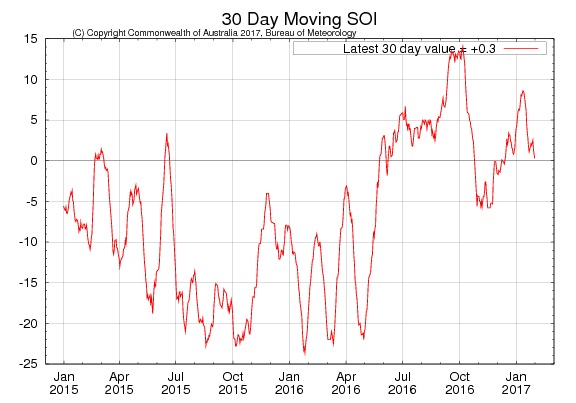 The latest 30-day Southern Oscillation Index (SOI) on 6th February 2017 is +0.2 within the neutral ENSO range. Currently there is a disconnect between SST anomaly and SOI. SOI Monthly graph up to January 2017 as per The Long Paddock – Queensland Government. SOI was -0.31 at the end of January 2017 and -0.57 on 6th February 2017 as per The Long Paddock – Queensland Government. 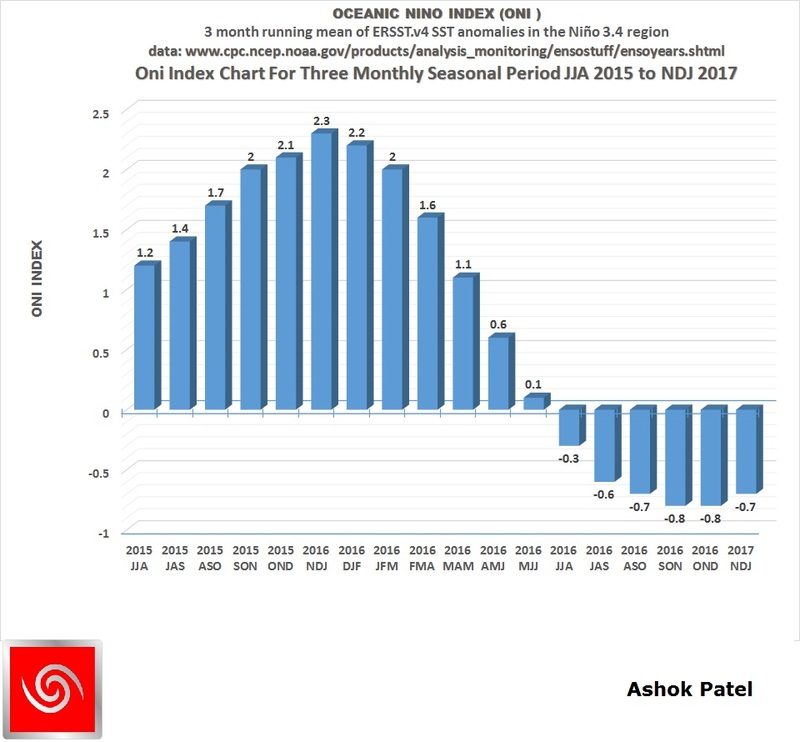 Climate model outlooks indicate the tropical Pacific Ocean is likely to remain ENSO-neutral through the southern summer and autumn. Most models surveyed expect the tropical Pacific Ocean to warm during this period, meaning La Niña is the least likely scenario for winter/spring 2017. It should be noted that model outlooks that span the southern autumn period tend to have lower accuracy than outlooks issued at other times of the year. 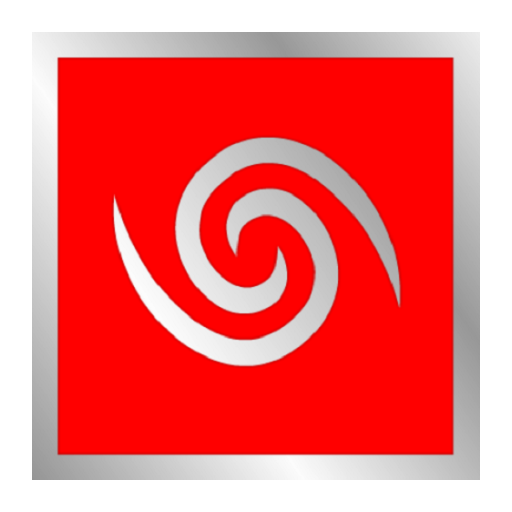 This means outlooks beyond May should be used with some caution.